OPC Client for Gensym G2 Made Easy ! 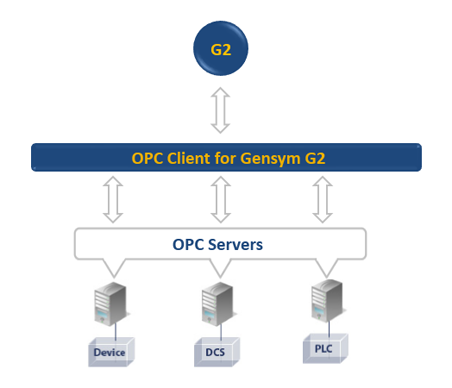 OPC Client for Gensym G2 enables applications built on top of G2 to access OPC data in real-time. This bridge allows G2 applications to connect to OPC servers and collect data as entries for tracking trends and analysis. Additionally, the OPC Client for Gensym G2 provides remote procedure calls (RPCs) for managing and browsing OPC DA servers. The OPC Client for G2 presents OPC items as native G2 objects. Each OPC item is defined by a gsi-opc-item object, which allows G2 to access and reference the data in the same way as other G2 variables. Browsing any OPC DA server address space.